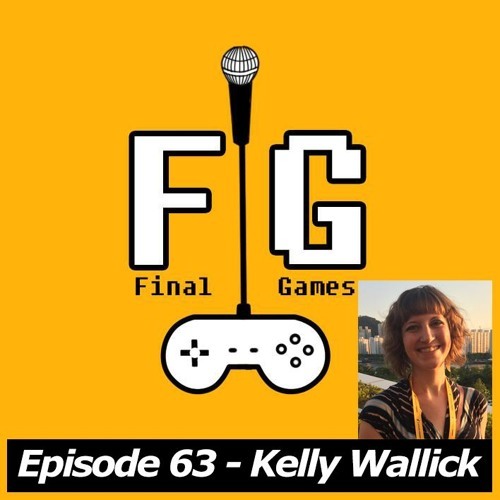 Joining Liam this week to chat about her passion for a very certain genre of PC gaming is the founder and creator of the Indie MEGABOOTH, Kelly Wallick. Kelly schools Liam on all things management sim, building sim and even sims sim through her 8 wonderful games. Whilst also chatting about the Indie MEGABOOTH, indie games and also indie developers! It’s a fascinating episode, please enjoy! Don't forget to follow on Soundcloud and leave a comment about what you thought of Kelly's choices! We'd love to hear what you the listeners think of the guest's choices and let's have a lovely discussion :) You can also download this show on iTunes as well, just search for "Final Games". Please rate and review the show! apple.co/1QP0ciS Kelly Wallick: @KellyWallick http://indiemegabooth.com/ Please go check out Craig's excellent music on Soundcloud! Thank you to him for his excellent intro! @windmills-at-dawn @craigedycraig If you'd like to contact the show or Liam, or if you have any feedback please check out: @LiamBME @FinalGamesShow finalgamespodcast@gmail.com Final Games is hosted on Soundcloud at: @finalgamespodcast But is also available on iTunes, aCast and Stitcher! You can with an expansion pack. I've been waiting for someone to pick either a simcity game or cities skylines!